Due to the recent flooding throughout the State of Nebraska any liquor license holder who has had damage to their premises is encouraged to contact the NLCC to discuss their license situation and what options are available to them. Chapter 6, Section 020.04 allows for a hardship request to be submitted and can assist those who wish to keep their license active during this time of need. In regard to an inquiry regarding whether it is permissible for a retail location to request or suggest beer delivery drivers to use the retailer’s fork lifts to move and place products I offer the following observation. Contact NLCC Offices if you have any questions. Pusuant to Neb. Rev. Stat. 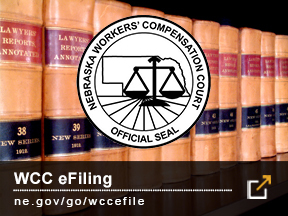 53-117(9) it is the duty of the Nebraska Liquor Control Commission "to investigate the administration of laws in relation to alcoholic liquor in this and other states and to recommend to the Governor and through him or her to the Legislature amendments to the Act". Effective September 1, 2015 the Commission will begin taking applications for the Growler endorsement. All holders of class C, CK, CCS or CKCS, may file with our office an application, form 165, one time filing fee of $300, and a photo copy of your trade name, logo or unique mark used on the containers.